BOB SPINK and Dave Blackwell will be wondering what on earth they have done, this bank holiday week-end, to upset their tame poodle Colin Letchford. On Friday, the Echo reported that Letchford would prefer a return to the old committee system of local government – rather than having an elected mayor. That Letchford should publicly come to this conclusion, now that he is so close to achieving the 3,364 signatures he requires to force a referendum on the issue, may well derail our two conspirators’ ambitions to create a lucrative position from which to engineer their separatist plans. 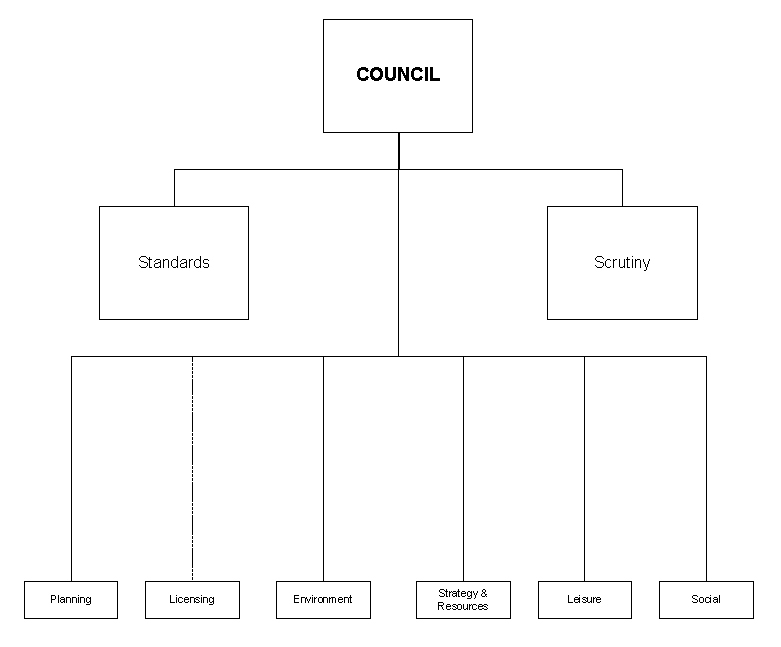 ‘The leader and cabinet should… bring back the… committee system’? 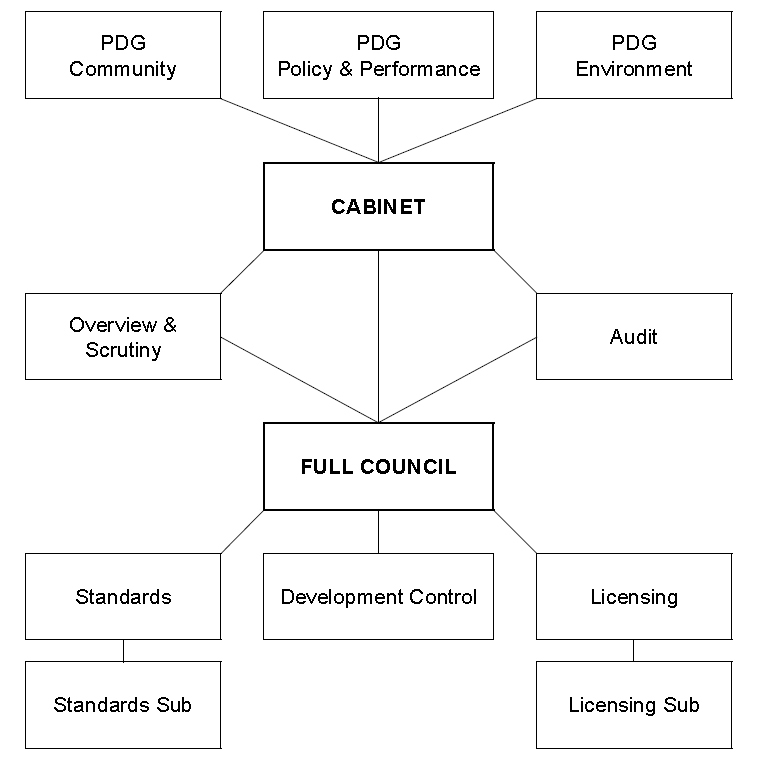 Blackwell cannot resist the temptation to allude that the cabinet holds all the power; but, as has been shown previously on this Blog, the most powerful body in the cabinet system is the Overview and Scrutiny Committee (OSC) – of which Blackwell just happens to be chairman. That the OSC can be abused by an opposition to undermine the elected majority is, however, not a good reason to return to the simpler, older system, in which all decisions are made by full council and in which all opposition members vote. Whilst it is true that, under the old system, Blackwell would not be able to sit back and watch as cabinet are forced to make unpalatable choices – like closing the Concord pool – and could not then ‘call-in’ the decision to make political capital from a situation he had allowed to take place, the fact is that Blackwell’s particular form of politics was born of the old committee system (so it should not come as a surprise to find that the Canvey Island Independent Party (CIIP) would still benefit from a return to the old, discredited, routine). So, how do the two systems differ? Well, the cabinet system was imposed by the last Labour Government in an effort to streamline decision making. Rather than requiring all members to vote on every single matter that came before council, day to day matters were removed to a separate cabinet body consisting of a selection of between eight and ten majority members. Cabinet meetings were still held in public – and non cabinet members could ask questions regarding matters in hand; but they could not vote. However, their questions could always ask the cabinet to refer a certain matter to full council if they thought there were reasons for doing so – and any member could bring any matter debated in cabinet to the attention of another body, the Overview and Scrutiny Committee, which was given extensive powers to ‘call-in’ any cabinet decision; investigate the matter in detail and, if necessary, refer it to full council. Day-to-day decision making was made much quicker – because it removed the ability of an obstructive opposition to tie members up debating matters of little local concern – thereby frustrating the ability of the majority to move-on to policy matters. It was argued, by the then Labour Government, that too little was being done by local councils because necessary decisions were being purposely held-up in committees whose make-up did not represent the majority’s views. Under the old system, many majority election pledges found their way into political committee dungeons to never again see the light of day. The cabinet system broke the back of such obstruction by ensuring that a majority’s pledges could at least be rubber stamped by cabinet before being exhaustively scrutinised. Moreover, it laid the basis for any subsequent full council vote that would either approve or reject an intact proposal. (Committees were no longer able to tinker with original majority proposals in order to ensure their subsequent rejection). In short, the cabinet system breathed new life into councils where the majority was unable, through opposition obstruction, to implement the policies they had been elected to implement. It could be argued that the cabinet system is actually more democratic than the old committee system; because the majority is not clandestinely denied the means of implementing its manifesto. However, there is no doubt that many long serving members feel slighted by not being able to vote on every single matter – just as government back-benchers feel slighted that they have not been picked for a lucrative cabinet post. Of course, Blackwell and his cronies promote the idea that the cabinet holds all the power. But the fact is that the cabinet is just a means for the majority to filter matters into those that can be quickly dealt with and those that might need fuller debate. It is rather like a production line, overlooked by the opposition leader who has the power to remove any product from reaching the stores. But, of course, Blackwell will never admit to that. You see, Blackwell is not a willing production-line employee. He is not looking to remove faulty products from the conveyor belt before they reach the packing department. He is much more concerned with allowing faulty goods to pass unnoticed so he can complain about the firm’s management when they hit the stores. Tuesday evening’s cabinet meeting was interesting, because it seems, at last, that the ruling group is finally aware of CIIP strategy. At that meeting, Pam Challis introduced an item for the council’s constitution to be modified to allow members of the general public to ask questions directly of cabinet. (At the moment they can only do so through an elected representative). The motion, calling upon officers to investigate the legal position and asking them to draw-up a revised constitution, was passed unanimously.